So let me set the scene. Imagine a crazy, haggard lady that may or may not have red hair and quite a few freckles and the worst dark circles ever right now with a ragged top knot bun, old saggy stretched out yoga pants and copious amounts of gluten free flour and beet sugar and waaayyyy too much coconut oil, well, pretty much everywhere. Glamorous, no? Basically, last minute, my beloved hubby whisked me off for a couple days so I could clear my head and re-charge (God. Bless. Him.). Turns out it was JUST what I needed. We are in the midst of a few beautiful and relaxing days in Deer Valley, Utah where I have never been but am rather amazed at. We skied today and watched a movie and then roasted marshmallows at the S’mores bar at our hotel (yessssss) and then drank Spiked Apple Cider and played Scrabble in front of the fire. Pretty much awesome for me. Tomorrow I am going to the spa and we are going bowling. Yes. We are 178 years old. Sometimes we need to press restart, right? And then I will go home and all will be right with the world. And I will bake cookies with my kiddos. These were a request from Coco after I made this a few weeks ago. They were one of my favorite Christmas Cookies before I went GF, so this was a fun and delightful little challenge for me and I am super happy with the results! Enjoy! In the bowl of a standing mixer, cream together the vegan butter and powdered sugar until fluffy. Add the zest, lime juice and vanilla extract and beat until well combined. In a separate bowl, combine the dry ingredients and then add them to the standing mixer. Combine until you have a thick sticky dough. Get out a sheet of wax paper and put all of the dough in the center of the wax paper. Use the wax paper to shape the dough into a log, rolling the wax paper tightly around it. My cookie dough log wound up about a foot long and about 2 inches across. Freeze the log of dough for about an hour. Preheat the oven to 350 degrees and prepare two sheet pans with silpats or parchment. Slice the log into cookie rounds that are about 1/4-1/3 inch thick. 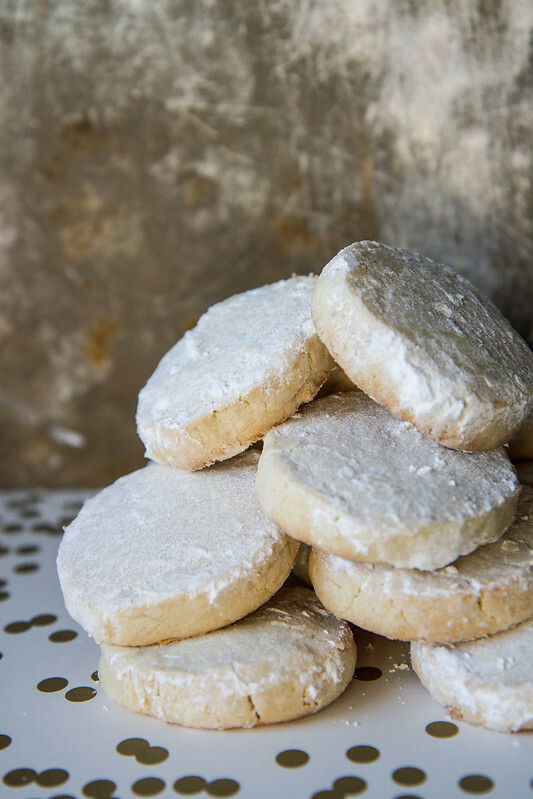 Take each cookie dough round and generously dredge it in powdered sugar. Place the cookies on the sheet pans and bake them 10 minutes. Let cool slightly before removing from the sheet pans. I can almost taste these melting in my mouth! And way to go to keep them both v + gf! Wow! Pinned! I too love these cookies and would love to try them, however your recipe is a bit confusing. It calls for flour, which DOES contain gluten. Perhaps you used a specific GF flour blend (instead of flour) that you mistakenly forgot to note in the recipe? If so, can you share the brand that you used as I find them all very different, some more suitable for cookies than others. Thanks! Sorry Aparrott- I will clarify that immediately. I meant GF flour. Janet! Not at all Rude!!! so that would be 2/3 a cup of butter or 1 stick (4 ounces) + 3 tablespoons more. Did that help? 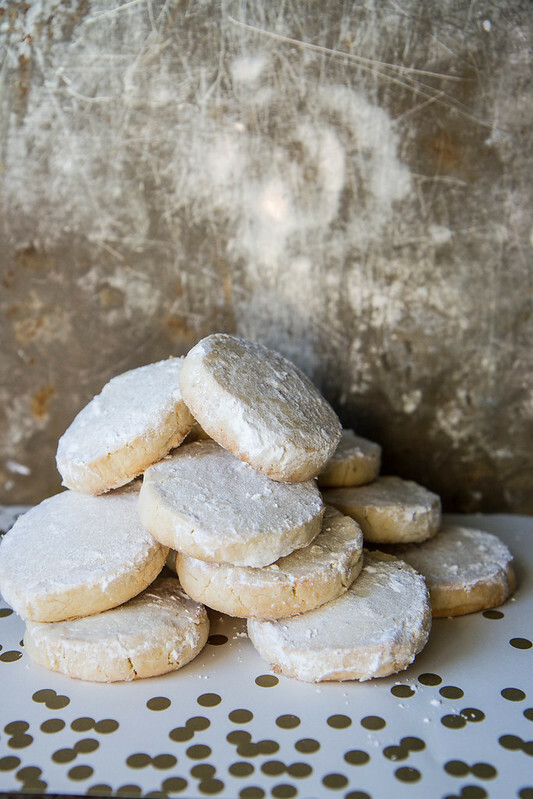 Hi Heather, what flour blend would you use for these cookies? So glad you are enjoying a ski vaca!! Yes, well deserved & these cookies hopefully went with you. They look great! Love meltaway cookies! These look so good and I really love that you used lime instead of lemon! Such a fun spin! I love meltaways, these are so pretty! These sound incredible. Yay for spontaneous getaways!!!! Love that your hubs knew just what you needed — hope the trip is incredible and all things happy and restful! Sounds like the perfect mini-vacation! Glad you are getting to re-charge. These cookies look amazing! i’m pretty sure your recipes are well tested but i’m still a little nervous about 2 tablespoons of baking powder. even with gf recipes i’ve never used that amount. could you please verify that because i really want to make those cookies. thanks so much. I don’t have xanthan gum. Could this recipe do without? Or do you know of a good replacer? Thanks!! LOVE LOVE LOVE this recipe! I’ve made it several times now and always get two or three people asking for the recipe. I have made them gf and vegan and also with regular flour and butter. I’m not gf but honestly, the gf recipe turns out better I think. If making with regular flour, it’s best to cut back by 1/4 cup. I’ve also noticed a big difference between cooking right away while frozen vs after they thaw. Definitely pop them in the oven right away after slicing- they puff up a lot better than if you cook them at room temp. I’ve tried with the vanilla extract and also with lime extract and wow!!! But what will really set these apart is a glaze on top. 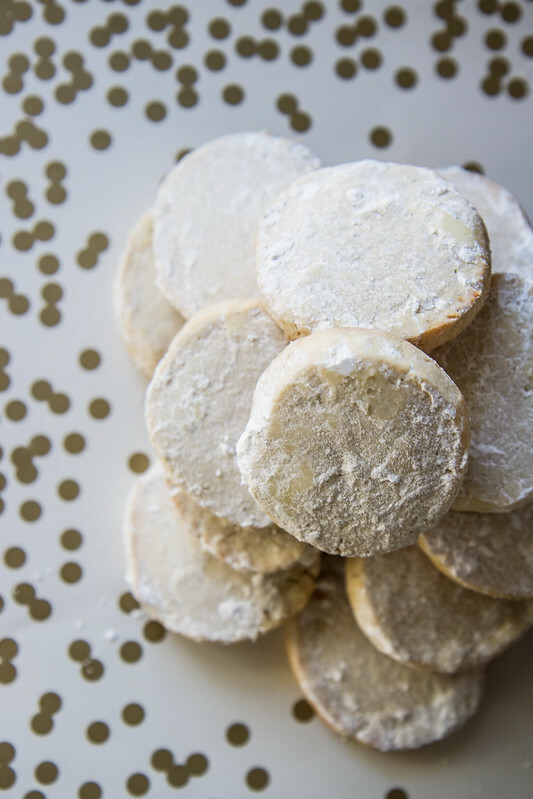 I mix fresh lime juice with powdered sugar and drizzle once the cookies are chilled. ITS AMAZING. I also like to add some bright green zest on top of the glaze for a really pretty pop of color. Thanks for sharing this recipe! Thank you so much for all of the great feedback Frannie!! Wow!! I just made these lime meltaways and they are delicious. It hard to find tasty gluten free, dairy free and egg free recipes. This one is a winner. I followed the comment and put lime icing on half of the meltaways. I’ll be making these again. I am so happy to hear that Lori! thank you so much!